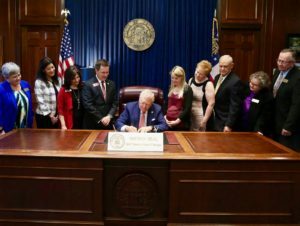 In May, 2018 Erin’s Law passed in Georgia making it the 35th state to pass it. Erin attended the signing at the capitol in Atlanta. Erin was also interviewed in HLN and CNN to discuss the law and her work across America to pass it in all 50 states.